Communicating with a team is one of the most essential aspects of a business, but emails are more of messages via machine instead of people. During the early years of emails, the messages were mostly office related or from friends or family. But, in the recent times, the automated emails from social media updates or newsletters for marketing are creating all the mess. Thus, communicating with the team via emails may affect the team productivity with all the clutter. In fact, there are better options for communication these days. Slack, launched by the Flickr founder in 2013, is one of the most popular apps for team communications in the current times. It’s compatible with both desktop, laptops, and mobile platforms. This app offers a much improved and convenient way for team communication internally. 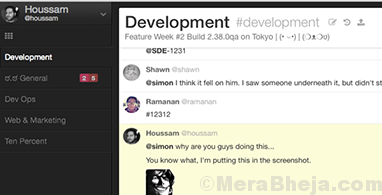 It also features an API that allows you to look for the entire conversations based on the situation. The best part about Slack is its partnership with applications like Google Docs, DropBox, ZenDesk, GitHub, etc. that makes it a great way to communicate within the team. Why do we need a Slack Alternative? While Slack has fast become the top online communication platform for business, the free version limiting the messages to a 10,000 messages archive and only 10 integrations can be a bit challenging for those with bigger teams or limited budget. That being said, Slack is indeed a great option with seamless functionality and easy to interface. For those looking for a new platform for team communications, here we have a comprehensive list for best free Slack alternatives. It features a built-in user interface that further enhances the smoother experience of the chat platform. Supported platforms – Windows, Android, Mac, Linux and iOS. Microsoft Teams is a chat and team communication as well collaboration platform for Microsoft Office 365 Customers. So, you do not need to buy Microsoft Teams tool, if you are already an Office 365 user. Unlike Slack where it’s focus is mainly on messaging, Cisco webex teams focuses on a broader view with collaboration on the whole in a secure cloud platform. 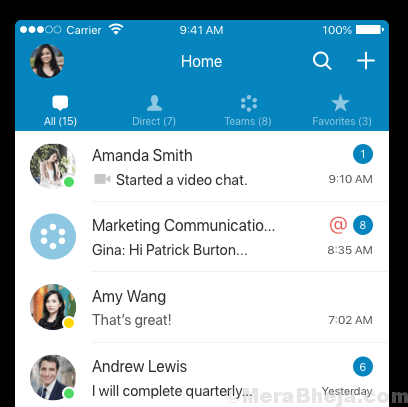 It offers advanced features like video chat for free that is still not offered by Slack. It’s equipped with advanced features and reasonable pricing options that’s perfect for the startups and small teams. Whether it’s making a solo or group video call, sharing files across all devices with notifications, sharing calendars, or creating tasks for project management, Bitrix24 has little competition. The self-hosted version is another feather in its cap as a Slack alternative. Supported Platforms – Unix, Linux, Sun/Solaris, HP-UX, Windows NT, Windows Server 2003/2008, Windows XP/Vista/7/8, iOS, Android. Pricing – Free for 12 employees with 5GB storage; thereafter, $99 per month for 100GB storage and $199 per month for unlimited storage. 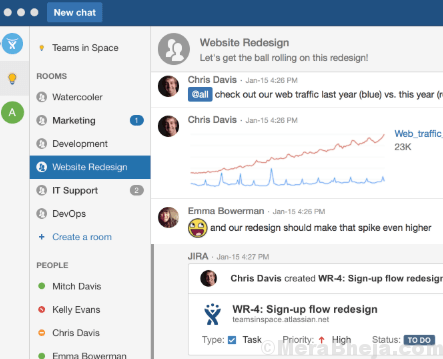 For companies with a limited budget, HipChat is the best option. It offers unlimited and endless messages facility for your team. The team can also track their tickets which is integrated in the website offering constant service support. Group video chats, screen sharing and access to more than 200 integrations are among the other features of the software. It can easily become your team command centre with its premium Slack features. Bonus – easy assimilation with other tools based on Atlassian such as, JIRA Service Desk or Bitbucket. Pricing – Free up to 5GB storage with 25,000 searchable messages. $2 per month thereafter with unlimited storage and search history. It offers a 100% free chat platform. It’s not an open Source software, but it does offer unlimited storage for chats, data, searches, posts, users, and teams. Having said that, being a completely free software, it doesn’t deceit you with its offerings. You can be sure of no interruptions during your team briefs with sudden annoying adverts. Among the added perks are some of the premium features offered by Slack for free and threaded posts. Supported platforms – Windows, Mac, Linux, iOS, and Android. Its primary focus is team integration and it does it pretty well. Unlike Slack, Fleep lets you chat with other organizations also, while you are with the existing client. All you need is an email address and Fleep will connect you for a conversation. It allows your team to access unlimited message history, conversations, and integrations along with file sharing upto 5GB per user. Pricing – Free; €5/user/month for business plan. It’s a real-time teamwork application which is widely used in Fortune 500 companies for their team communication. Hall is compatible with all connected devices keeping you updated on all key notifications without fail. It is integrated with a wide range of platforms like Box, Dropbox, GitHub, and more offering a comprehensive solution for team communications. Chats, file sharing, secure communication, smooth integration, or groups are some of its key features. Looking for a complete communication solution for your team? Stride offers just that with video conferencing, in-built collaborating options, video conferencing. It empowers teams and individuals with increased productivity and added features like Focus Mode that mutes sounds for chat, and actions & decisions. This allows you to detach tasks from the conversation and save. Pricing – Free for unlimited users with no data export support. $3 per month for paid version supporting all major features and with priority customer support. Moxtra interface resembles an actual paper system featuring pages, binders and shelves. Apart from being an application for communication, it’s also a lot more efficient in team collaboration. When it’s about functionalities, it’s a notch above than Slack in terms of screen sharing, conference support, and document collaboration. 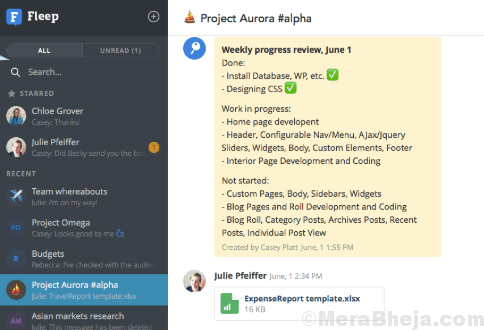 Workzone is a project management software that also boasts strong capabilities of collaboration with features like file sharing, comments, and email notifications. 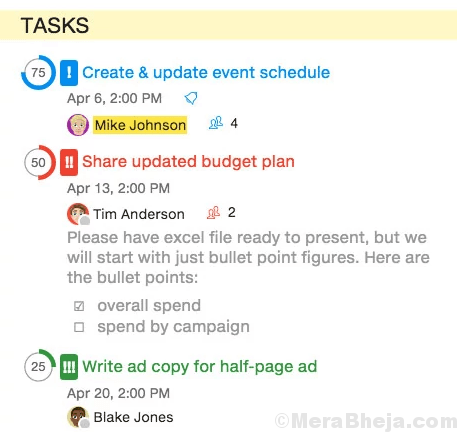 It keeps the entire team connected with to-do lists and team calendar helping you stay aware of who is working on what. You can also stick a due date on the requests received through Slack to validate them. This act ensures that everyone is working towards the same objective on the schedule. Supported Platforms – Android, Mac, Windows, iOS. Price – Free Trial available; Starting at $200 for upgrade. 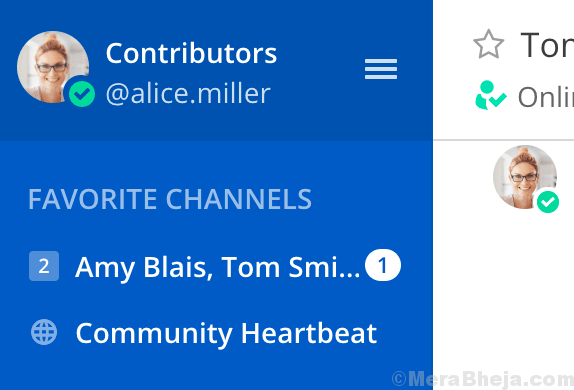 The Mattermost Dashboard features the discussion topics organized in channels. It’s an open source application that can be customized according to company requirements. What sets it out from Slack is its feature of threaded discussions or forum, which is a highly desired feature offered by this app for free. Pricing – Free (Team Edition); Price for enterprise plan starts at $20 per user per year; E20 at custom pricing. It’s a premium application for team communication that assimilates all the main features of similar apps and is reliable. Given that Microsoft has taken over the software makes it even more easier to work together and assimilate with other MS products. It features a strong context-based search option and works seamlessly with all major platforms. Single Inbox for all the latest news and updates, or document collaborations are among the many other features that it offers. Supported Platforms – Windows, Mas, iOS, Android and Web. Pricing – Free for educational bodies; $3/month per user and $5/month per user for Enterprise and Business editions respectively. Yes, even Facebook has ventured into this category and developed a range of apps chiefly for team collaborations. What better than using the same Facebook interface that we are already familiar with, to create groups and host live chats for your team. It’s USP lies in the fact that it allows you to collaborate with people from other organizations also. 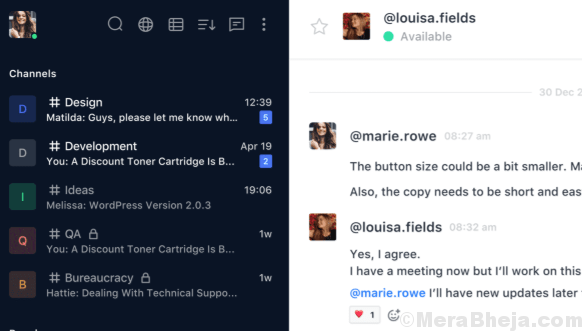 For partners and clients working together on a project, Workplace offers a seamless experience for chats and connects minus the clutter like in the emails. Pricing – Free; $3 per user for upgraded version. 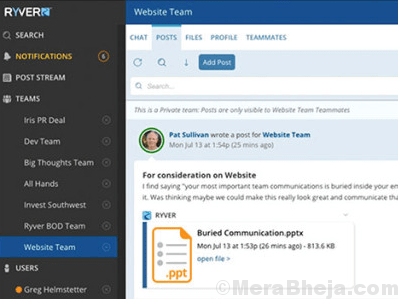 It’s a wonderful piece of software that offers free and upgraded support for businesses offering them a united internal team communication on all mobile and desktop platforms. It excels with its user-friendly interface and strong team collaboration ability. Real-time collaboration through video conferencing, HD Video Calls, and full duplex video are among the several of its other features. Pricing – Free for 3 participants; starting from $20 per month per user for upgraded version. One of the most popular communication platform, Skype by Microsoft is also perfect to be used for team meetings and collaborations. You are not just able to make audio or video calls for free, but you can also share your screen along with a smooth notification system. 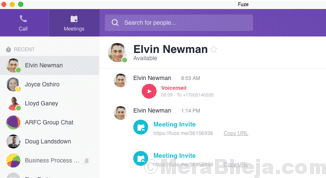 File management, free group video calling are among its other features. Yes, you can even connect with people outside the organization which is of course a better deal than Slack. With features like share and edit for your team projects all at one place, Glip is more than just a messaging platform. If you are using any cloud-based apps, you can easily surpass them to use Glip that helps manage your to-dos and tasks, video calling, chats, files, calendars or notes, all at one single place. Supported Platforms – Windows, Mac OS, Chrome OS, Android, iOS. Pricing – free for 10,000 posts, upto 5GB storage, and upto 5 external integrations. Pro plan starts from $5 per month per user. Let’s Chat arranges your different discussion topics into something they call, Rooms. Bonus – it offers the features on a visually appealing dashboard that makes it easier for the users to browse through. It’s a self-hosted chat application specially designed for small teams and it’s easy to install. You can try their skillful demo site before you download it. Supported Platforms – Android, iOS, Windows, Mac OS and Linux. 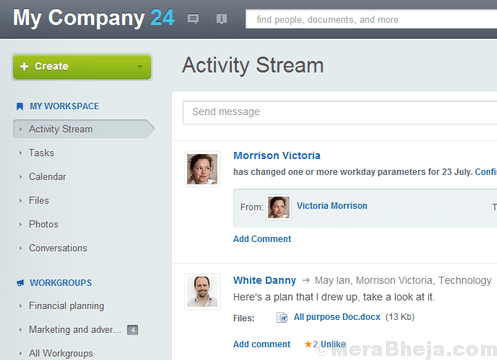 Once integrated with Dropbox, file sharing becomes even smoother with Samepage. 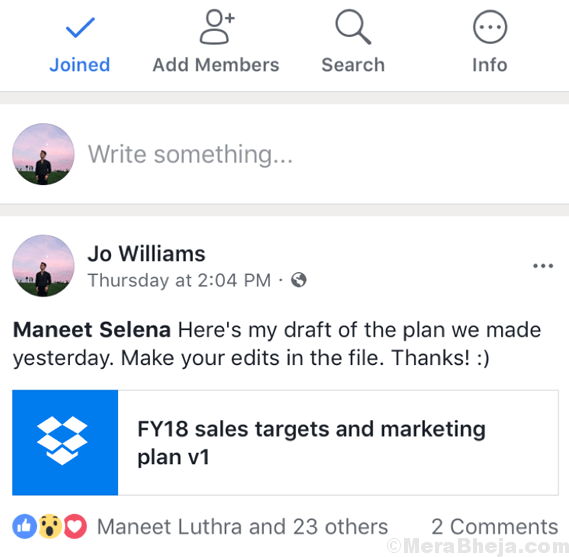 Pages constitute Samepage which is a way to develop a home ground for a collaboration or a project where you can share files, drop in your comments, prepare to-do lists, and invite collaborators. And, that’s all apart from the seamless chat experience. Apart from being wonderfully visual appealing, Azendoo is also known for its range of features making it a great alternative to Slack. It focuses on a clutter free app unlike Slack, with its discussion forum that arranges messages based on the topics. 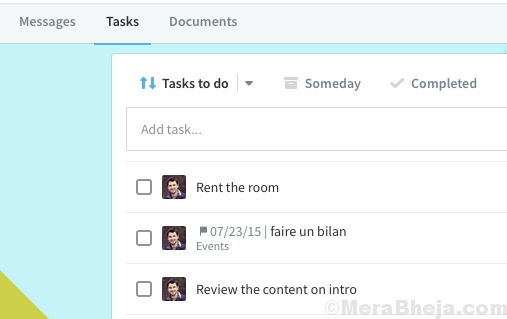 That’s not all, as it also allows you to share tasks, documents, and calendars. So, download one of the above apps and get loads of features that can help your team collaborate and communicated equally or more effectively than Slack, for free. It’s a free app perfect for team meetings and communications. It’s more of an extended chat software that comes with comprehensive features. It helps your team with improved collaboration experiences and increased productivity. There are absolutely no limitations or users or search logs, it’s a great alternative to Slack. It also helps you share files and import from an individual third-party hosting service and is accessible on all platforms.